The ARMS Records Storage division of Wakefield Companies is rapidly growing. 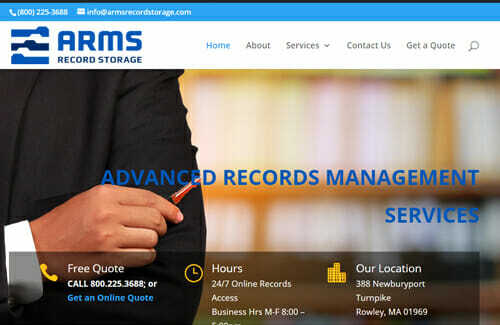 To support Wakefield’s growing records management, storage and document shredding businesss we have launched www.armsrecordstorage.com. The new ARMS website is part of Wakefield Companies’ long term commitment to creating a fully integrated, vertical business model that meets the ever expanding needs of our client base. This launch is phase I of a three phased effort to provide a highly informative, convenient online portal for current and future customers.